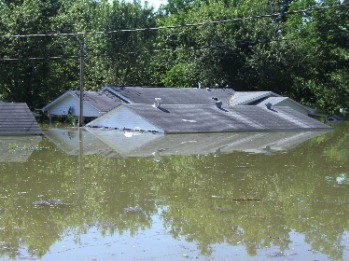 The Pennyrile ADD coordinates and maintains the Pennyrile Regional Multi-Jurisdictional Natural Hazard Mitigation Plan for the nine-county Pennyrile area in accordance with the federal Disaster Mitigation Act of 2000. The plan incorporates a detailed assessment of the risks of flooding, earthquakes, tornados, and other natural disasters, followed by the development of strategies to reduce or mitigate these risks. The plan not only identifies ways to reduce exposure and loss of life and property in natural disasters, but also identifies ways to improve the quality of life by providing a sound basis for future planning decisions and the development of our communities. 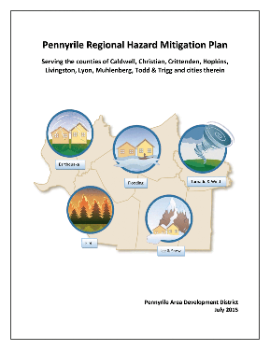 The plan defines and profiles the hazards that affect the Pennyrile region and analyzes the likelihood of their occurrence, the magnitude of damage, and prioritizes regional response. The plan is updated on a five year cycle. The PADD contact for Hazard Mitigation Planning is Kyle Cunningham.